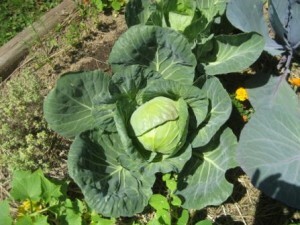 Despite brassicas supposedly being some of the more difficult veggies to grow, I’ve had good success with them. Don’t get me wrong, I have no illusions that it’s due to some great knowledge on my part. 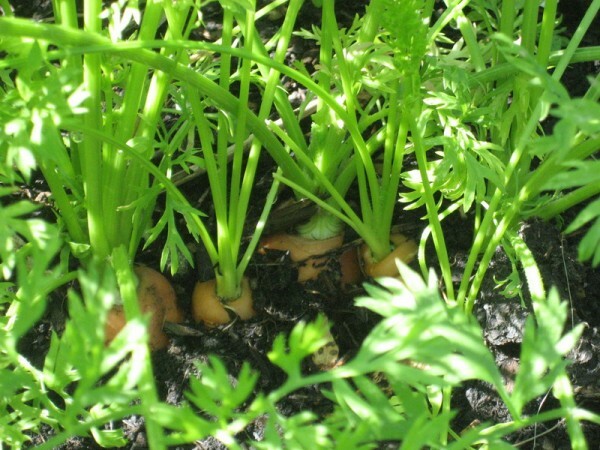 It just happens that they seem to like the climate and soil they’ve been planted in. There have been some creepy, crawly bugs at them, and I’ve dispensed with many of those via squishing (fingers fully gloved, of course). However, I came across a disgusting infestation of what look like bug eggs in my first red cabbage. I have a confession, and I’m not proud of it — I was so grossed out that, in a fit of repulsion, I pitched the whole thing. (I REALLY don’t like bugs.) Later in the day, long after I’d left the garden, it occurred to me that I probably could have peeled off a few layers and salvaged the inner portion. Too late, tragically. I still live with that regret. 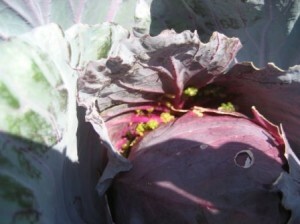 One of my other red cabbages was decimated early in its development. In between garden visits, bugs completely devoured the most tender leaves at its core, and it has never produced a proper head. Thankfully, the regular cabbage has fared well (I’ve harvested 3 so far), the cauliflower has produced it’s first crop, and the broccoli — my favourite — has provided an ongoing supply for the past number of weeks. 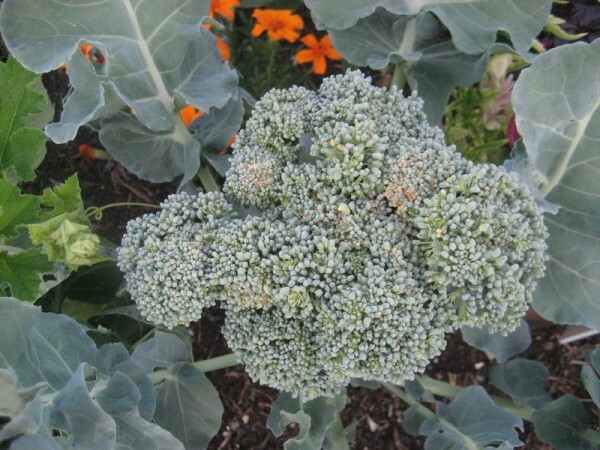 This entry was posted in Bumbling Gardener, Urban Gardening and tagged broccoli on August 7, 2009 by local delicious. I think I’m the most pleased to have grown broccoli, which was never something we grew in our garden when I was a kid so has always seemed an exotic thing to find in a backyard garden. 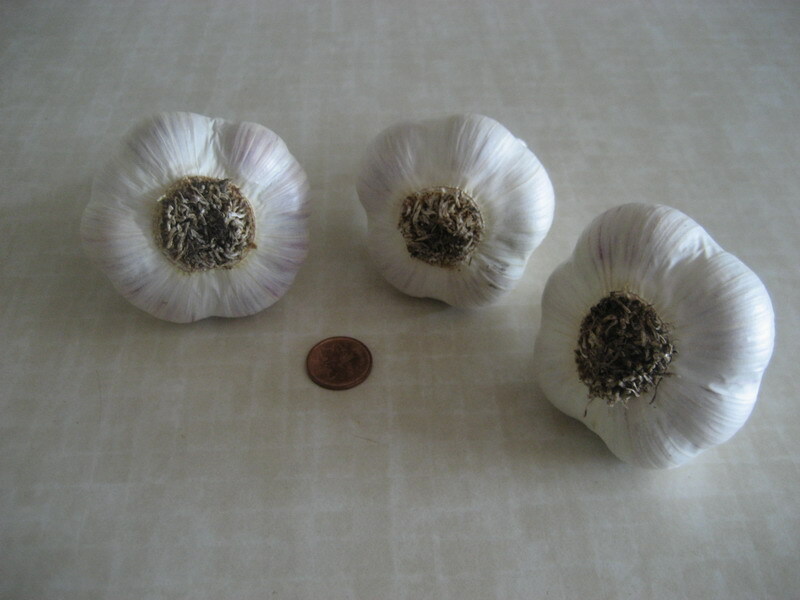 Some gardening books classify it as hard to grow too, so I wasn’t sure what to expect. I hadn’t realized how tall the broccoli would get, and how quickly, so at one point I had to move the pepper plants out from behind the monsters. After a few more weeks, it seemed like all the plant’s efforts were going into producing huge leaves, but no fruit was apparent. That’s when I did a significant amount of pruning, cutting all the lower leaves off — this also gave the squash I’d planted nearby a fighting chance at getting some sunlight. After a few weeks a single broccoli bud appeared at the very centre of one of the plants. 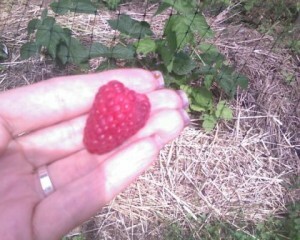 My friend Babs had warned me to cut the first one that appeared so that more would grow, so I did — with some doubts. I mean, I’ve never seen a broccoli plant in full “bloom” so I didn’t really know how they grew. 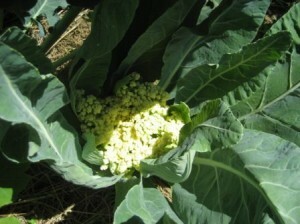 I thought each plant grew a single head of broccoli, like a cabbage — one plant, one head. What I discovered actually happens is that little heads sprouts from each “joint in the stalk where a leaf sprouts out. Then you keep trimming them and harvesting tender mini heads. I’m not sure if it was the pruning, cutting that first bud, or just the fabulous stretch of sunshine and heat in June, but last weekend I harvested a huge bowl full of broccoli! 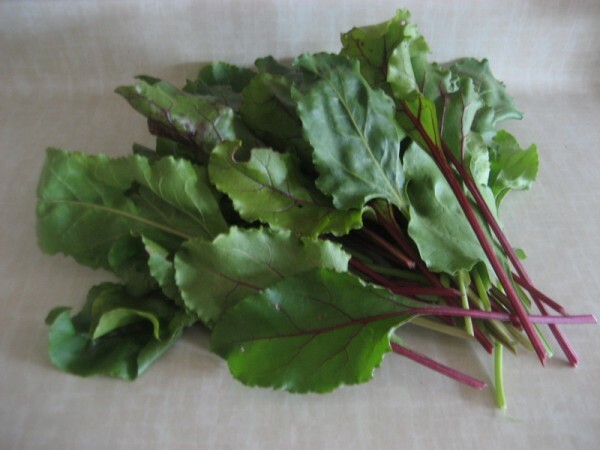 I’ve used it in several stir fry dinners along with cabbage, kale, snow peas and a variety of herbs from the balcony garden. 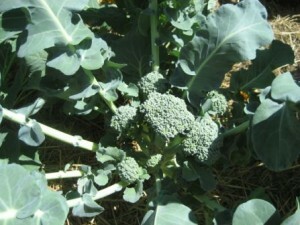 This entry was posted in Bumbling Gardener, Urban Gardening and tagged broccoli, Bumbling Gardener, growing broccoli, harvest, Urban Gardening on July 20, 2009 by local delicious. Along with the bounty of broccoli the first week in July, I also harvested a huge bag of kale (my new favourite stir fry veggie), more snow and regular peas than I could carry in two hands, a single raspberry, and my first ever cabbage. 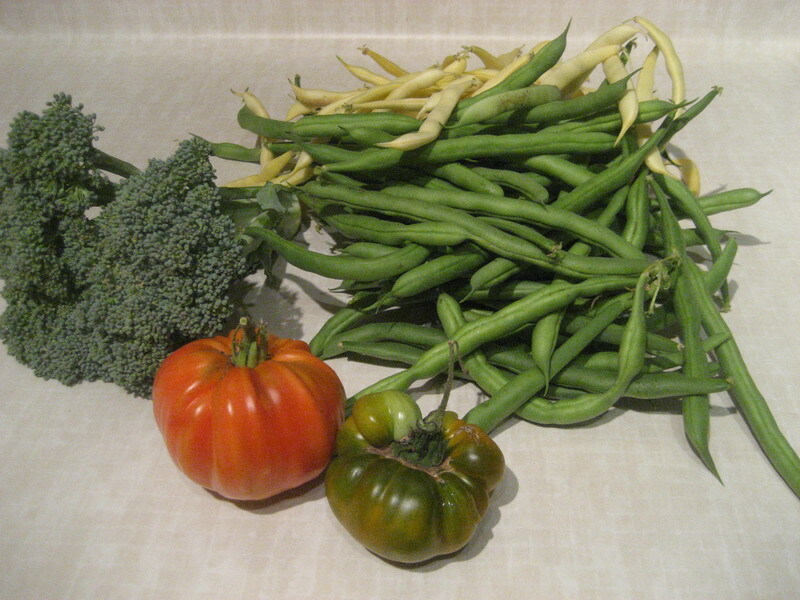 Confession, the peas didn’t make it out of the garden. The only thing better than fresh raspberries, warmed by the sun and fresh off the vine — is plump, juicy, fresh green peas, warmed by the sun and fresh off the vine. 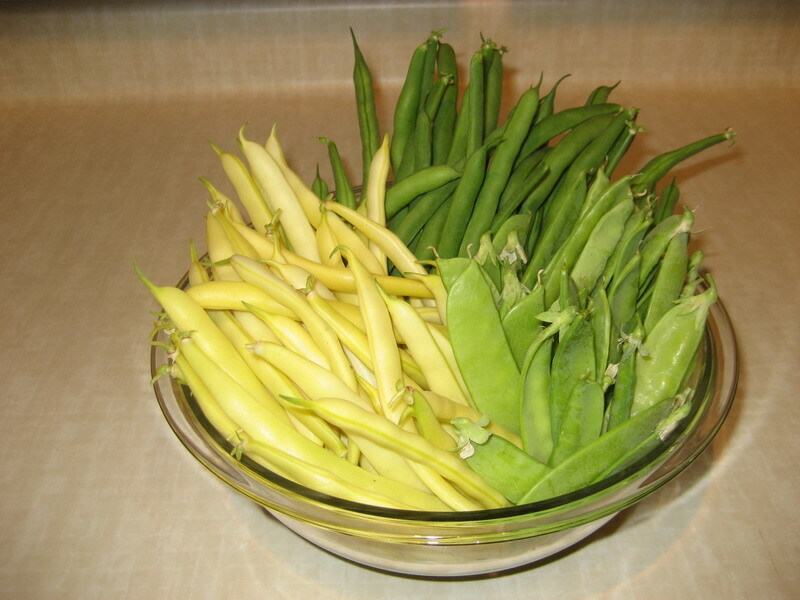 Really, it was just efficiency; the pea pods went straight into the compost bin. Consider it the circle of life — and a very delicious circle at that. 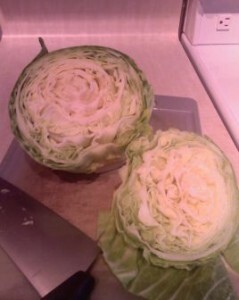 The cabbage I harvested was a full 6″ in diameter once all the outer, ratty looking leaves were removed. That’s bigger than it sounds! The thing that surprised me is that it’s crisp, juicy and crunchy compared to the ones I buy at the supermarket. The kale is amazing. I know I’ve said it before, but I’ll say it again. Yum, yum! I still haven’t gotten tired of the sauteed in butter with fresh lemon kind, but quite a few people have mentioned other options, including tossing it in olive oil and baking it in the oven until it’s crisp and crunchy like chips. That sounds interesting, especially if I sprinkle a little seasoning on it. I’ve also heard it’s good in soup and stew, so I’m sure I’ll be checking online for additional recipes, once I’ve tried every possible combination of herbs from the balcony (thyme, sage, lemon basil, regular basil, green onions, chives, oregano, cilantro, and parsley). What I really love about the kale is that in one day from 4 plants, I harvested what would cost est. $24 at the farmers market. And it just keeps growing! 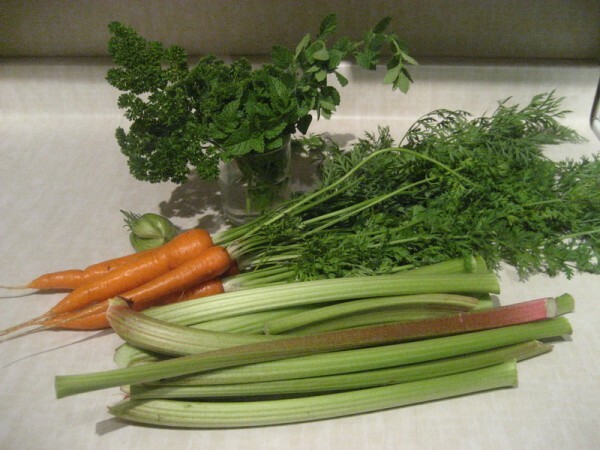 This entry was posted in Bumbling Gardener, Urban Gardening and tagged broccoli, harvest, July, kale, peas, snow peas, urban garden on July 15, 2009 by local delicious. After 10 days away from my garden, I was keen to check in and see how things are coming along. In a nutshell, stuff is growing! This in itself is a wonderful thing, which I don’t take for granted. I mean, if it were up to my expertise, the seeds I planted would be sunk. Fortunately, they know what to do without much help from me. 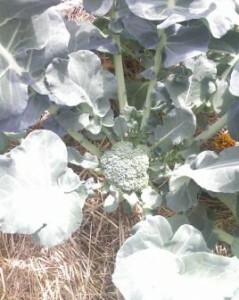 The broccoli is growing like crazy without much to show for it. I’m beginning to wonder if I’m supposed to be clipping off the lower leaves to help the plant focus on bearing fruit, so to speak. I’ll have to check into that. In the meantime, after dinner I did discover one floret which will be eaten soon. The book I checked recommended harvesting to encourage more growth, and that’s all the encouragement I need. 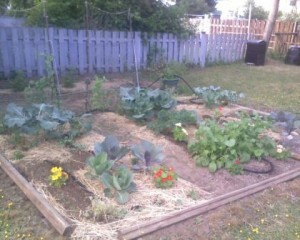 A few weeks back I mulched the garden via a couple of found bales of straw. As far as I can tell, the mulch isn’t doing much to keep the weeds out, but I think that may be because it’s not laid out thickly enough. This I can remedy. The kale is coming along nicely, now I just need to find a recipe and try and figure out how to get the Scientist to try some. He’s not really a veggie kind of guy…unless there is butter or sugar slathered on for disguise. He has, however and thanks to my efforts, discovered that he quite likes asparagus as well as grilled bell peppers of all colours. This is progress! 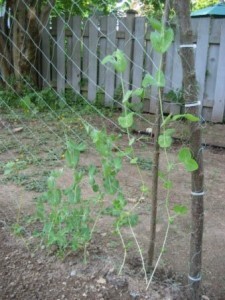 The snow peas are climbing like crazy, and it’s clear I need to get the climber mesh up at the end of plot C before the last ones planted start to topple. The green beans in the far corner, on the other hand, don’t seem to happy. I may need to move them out of that low lying area and into a new spot. Or add some dirt and replant them there? And finally the bell peppers. Those poor guys have been completely eclipsed by the broccoli and are now completely shaded. When I originally planted, the plan was to keep the smaller stuff in back. 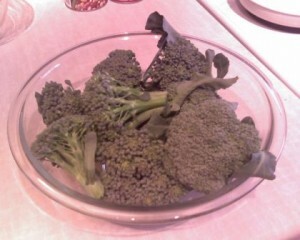 Note to self: broccoli grows big, fast. Peppers, not so much. 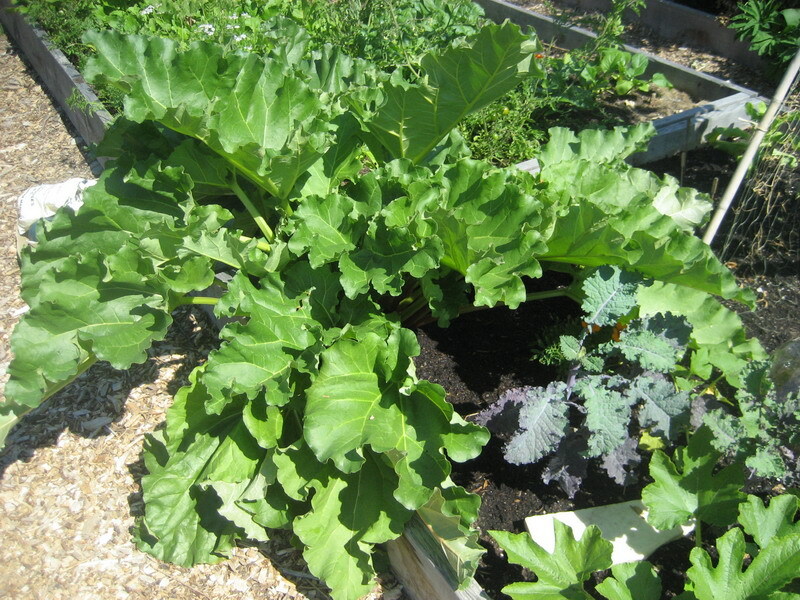 This entry was posted in Bumbling Gardener, Urban Gardening and tagged broccoli, garden update, green beans, kale, mulch, radishes, snow peas, urban garden on June 19, 2009 by local delicious.